The Senate gave final approval this week to legislation I authored to protect victims of domestic violence. Tierne’s Law – which was named for Tierne Ewing, a Washington County woman who was abducted and murdered by her estranged husband following his release on bail from a domestic violence incident – would ensure judges have more tools to keep the most dangerous offenders behind bars. 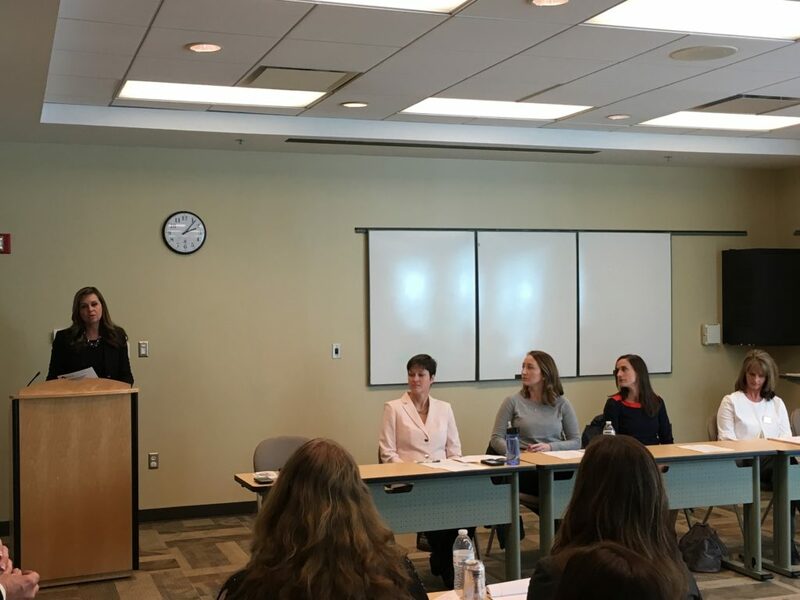 The legislation would clarify existing law to ensure judges can use risk assessment tools when deciding whether to set bail in domestic violence cases. These tools have proven to be effective in predicting which offenders pose a continued threat to the safety and well-being of their victims. My thanks goes out to Tierne’s family and all of the other victim advocates who helped push this legislation through the General Assembly. The bill was sent to the Governor to be signed into law. My remarks on final passage of the bill are available here. Tierne’s Law was one of a number of bills approved this week to address domestic violence. A total of five other domestic violence bills were sent to the House of Representatives for consideration, including a bipartisan bill I sponsored with two of my Senate colleagues to help relocate victims who live in public housing when it would be dangerous for them to remain in the same unit. I am hopeful that the House will move quickly to adopt these bills and help ensure crime victims are better protected. 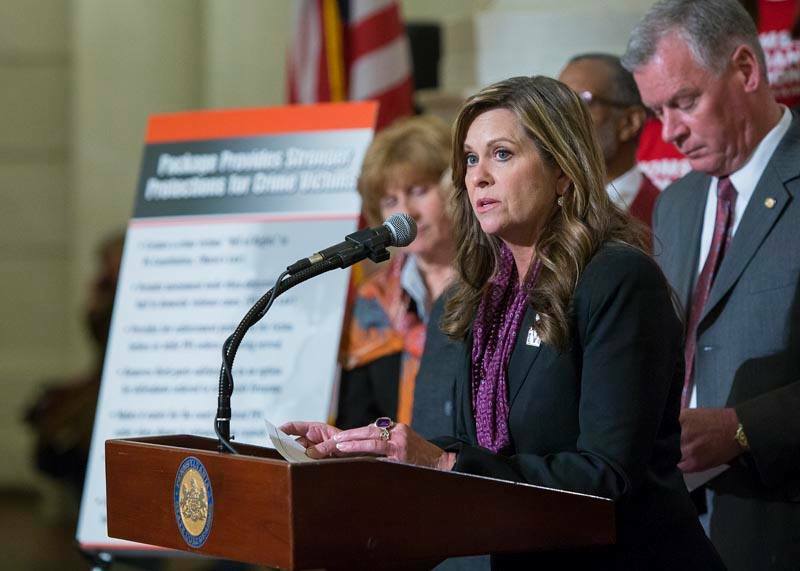 I joined a number of my Senate colleagues this week for a news conference in support of a package of bills to protect crime victims, including Tierne’s Law and my legislation to help relocate victims in public housing. Pennsylvania boasts a long history of dedicated military service, and today our Commonwealth is home to more than 800,000 veterans. Two bills I am sponsoring to benefit Pennsylvania’s veterans were approved by the Senate Veterans Affairs and Emergency Preparedness Committee this week. Under current law, a veteran who is considered 100 percent disabled and has a financial need can qualify for an exemption from paying property taxes. Legislation I sponsored with my colleague Senator Randy Vulakovich would expand this program to cover veterans who are at least 50 percent disabled. The amount of the exemption would correspond to the veteran’s level of disability, so a veteran who is considered 50 percent disabled would be exempt from 50 percent of property taxes. The committee also approved legislation I introduced to create special logos to designate veteran-owned businesses and disabled veteran-owned businesses. Many veterans put the skills they learn in the military to good use as entrepreneurs, and these logos could serve as a valuable marketing tool. 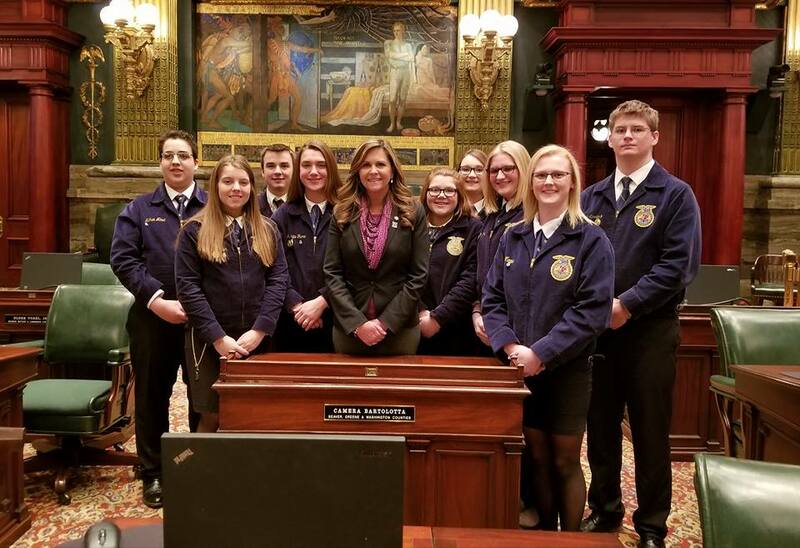 I enjoyed meeting FFA members from the Fort Cherry and McGuffey School Districts who visited Harrisburg as part of the Pennsylvania FFA State Legislative Leadership Conference. Freedom Transit has scheduled a pair of Open House events on Wednesday, March 28 to gather input from the public on mass transit needs in Washington County. The input will be included as part of the organization’s Transit Development Plan. The first event will take place from 11 a.m. until 1 p.m. at the Washington Transit Center, located at 50 East Chestnut Street in Washington. The second town hall is scheduled from 5 p.m. until 7 p.m. at the Frank Sarris Public Library, located at 35 North Jefferson Avenue in Canonsburg. My thanks goes out to all of the participants in a recent community conversation in Washington regarding postpartum depression. Details about a bill I sponsored to expand early intervention services for infants and mothers affected by this condition are available here. Dominion Energy is planning a natural gas infrastructure project that could affect a number of counties in Ohio and Pennsylvania, including parts of Greene County. The Federal Energy Regulatory Commission is accepting public comment on the project now through April 13. Community residents can submit comments on the project online at www.ferc.com. Additional assistance is available by calling (202) 502-8258 or emailing FercOnlineSupport@ferc.gov. Dominion Energy will also host an open house to discuss the project, including safety measures that will be in place to protect local communities. The open house will be held on April 26 from 5 p.m. until 7:30 p.m. at the Greene County Fairgrounds Auction Building, located at 107 Fairgrounds Road in Waynesburg. Additional information is available online at www.dominionenergy.com/swedenvalley.